As in Miami, Las Vegas or Manhattan, experts investigate in email marketing to identify malicious activities. While the CSI experts in the TV show use DNA and fingerprints to get to the murderer, the CSI email marketing spam filters identify spam sources according to sending IP and sending domain. As someone with no fingerprints nor DNA would be suspicious (or even not living actually) in the eyes of the CSI experts, spam filters ask for a minimum of identifying features to treat you as a regular and honest email broadcaster. SPF, DomainKey and the newly used DKIM. All this information MUST be found in the DNS settings of your sending domain, failure to provide this information will place you on the suspicious side of the incoming emails. If you are a clean, best practices compliant sender, it will open many doors for your emails, if you are more of a dark side of the force kind of email sender, your reputation will probably cost you big time. When in real life, your fingerprints and DNA can identify you among millions in a good or in a bad way, the traffic incoming from your sending IP(s) and sending domain will be monitored, analysed and kept in the records to put you in a box: good or bad. Don't spoil it all. 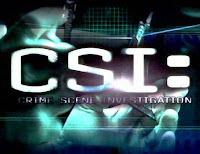 Of course some might argue that it's possible to broadcast with a shared set of IPs and shared sending domain, yes it is but do not dare believe you can fool CSI experts so easily (especially Grissom), the links inside your email can also tell on you and to be honest, would you really want to share your reputation with a stranger? 3 years of jail for Spam's Godfather.